Bubba is all ready for Christmas but still has one thing to do . . . visit the guy in the red suit . . . Santa. I chopped down the tree and put up the ornaments, but I also had to give Santa my Christmas list. 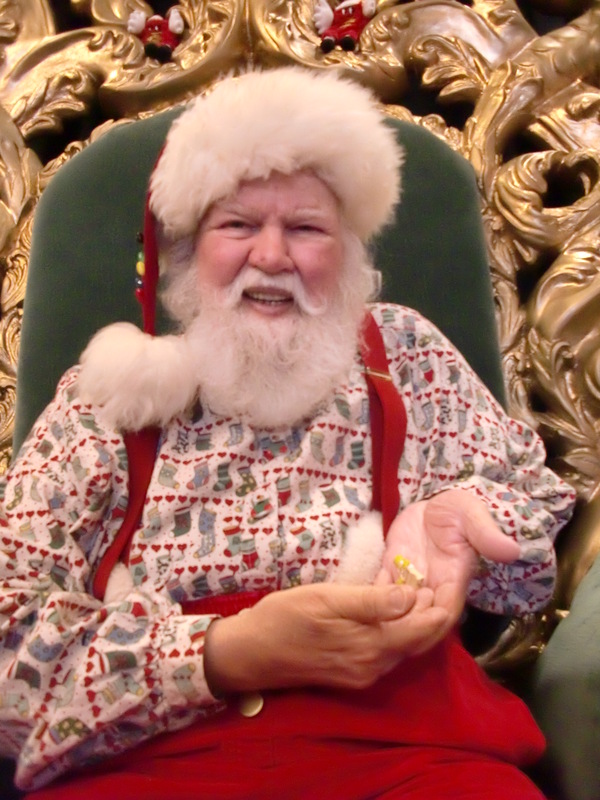 Some say the idea of a jolly fat man who gives out toys to good children is all just fantasy. Some may also say that the idea of a small plastic person who travels the world is also pure nonsense, but that does occur now and then. First, I had to locate him. Where does Santa hang out when he is not at the North Pole? Why at the mall of course. 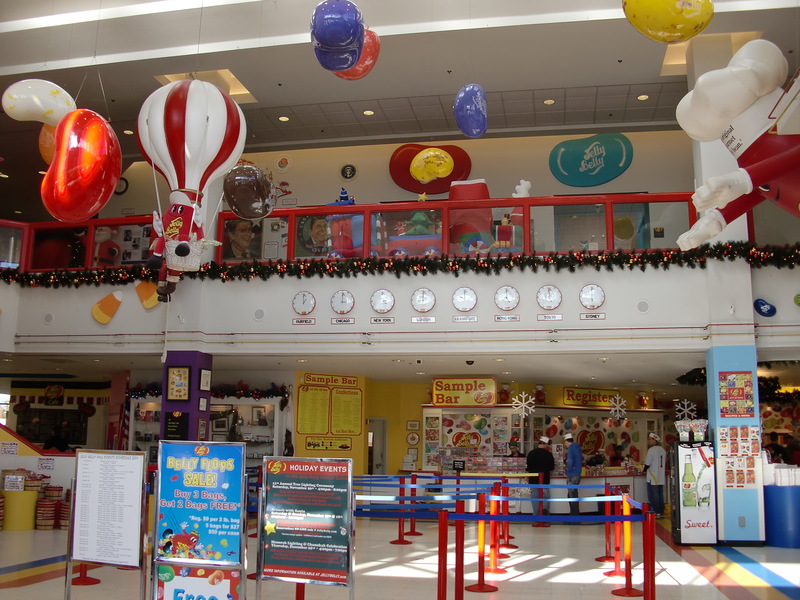 So off I went to the mall. I saw a long line of children in front of guy in a red suit sitting in a chair. I joined the line but, as I got closer, I could see something was amiss. This person’s belly looked suspiciously like a pad under his coat. His boots were just shiny black pieces sewn on the bottom of his pants and wait … he scratched his beard and it moved to the side! As I got closer, I saw a cranky elf taking money from each kid as he or she approached. This was Santa Gansta, holding up the kids for cash!! I hopped out of line and started to leave when a guy in green leggings and a knit cap pulled low to disguise pointy ears approached me. Could this be? I had to find out right away so I made my way to the big bean making place. Inside was a sugar dream. 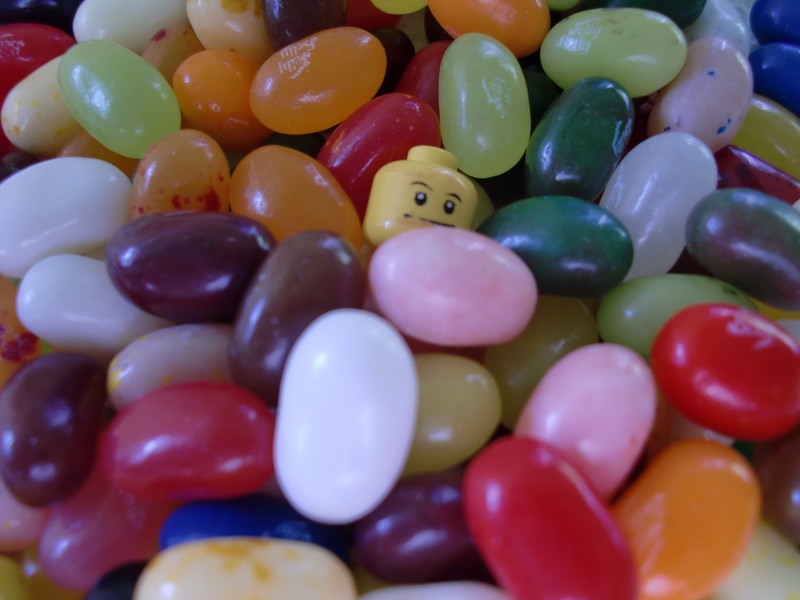 It was the birthplace of Jelly Bellies. 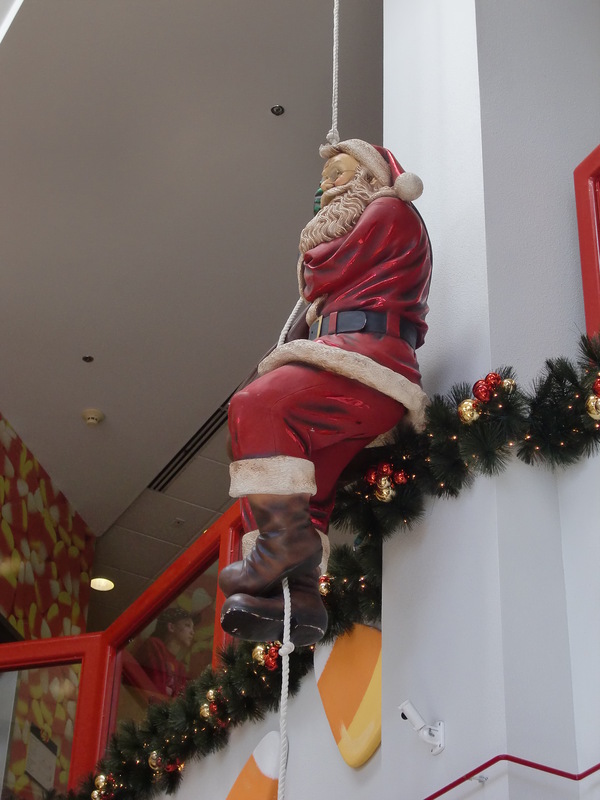 I ran up to the information booth and asked the nice lady if she knew where Santa was hiding out. She told me he hadn’t arrived yet but she suggested that I sign in and take the tour. This was more like it! Finally I found someone with proper Christmas cheer. I signed in and was given a hat to wear. It was going to be a little too big so, given the fact that I have no hair on my pointy head, I was allowed to catch a ride on someone else’s hat. 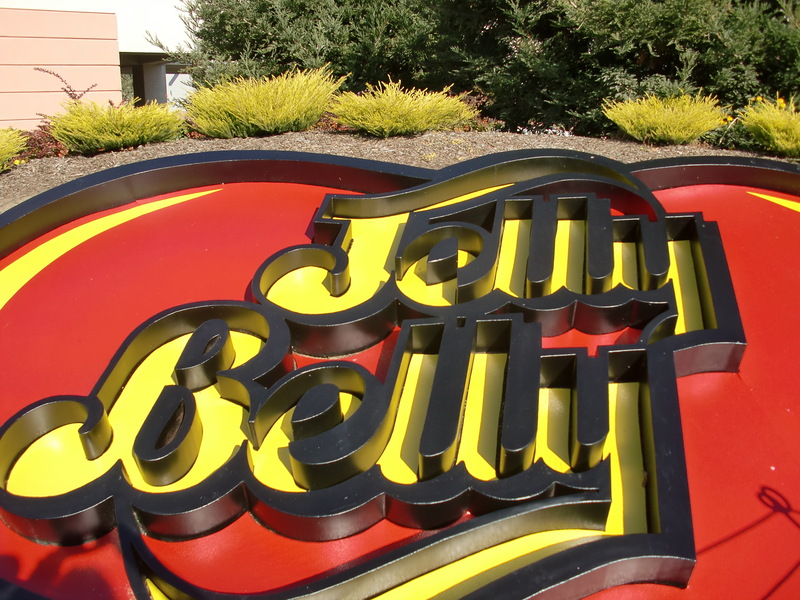 I learned how a Jelly Belly is made and at the end of the tour was given a free sample. I asked for another sample and was given a few. These people know the true meaning of Christmas Spirit!! All of a sudden I heard the clatter of hooves and the jingle of bells. 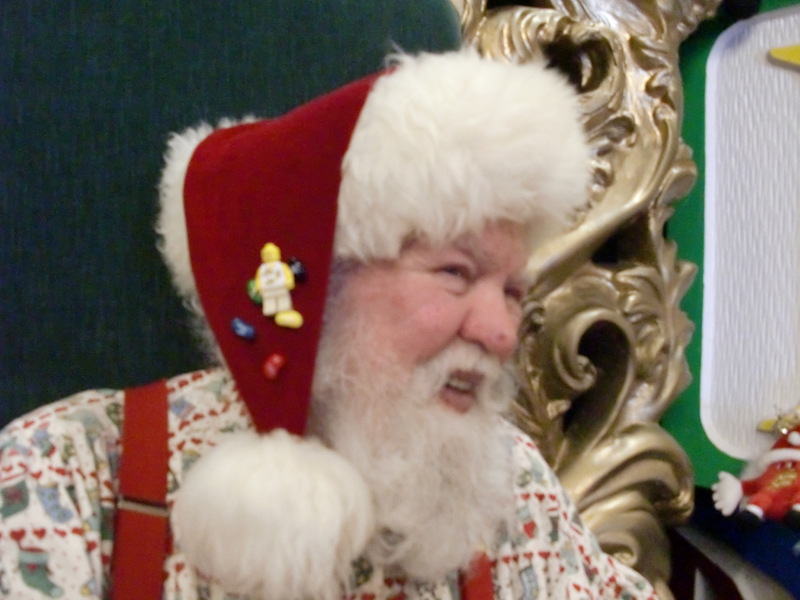 Even though it was a bright sunny day, a flurry of snow engulfed the room and I saw Santa scurrying up to his chair. I ran up the stairs and there he was! The jolly old elf, Santa Claus!!!! I could tell this was the real deal. No polyester beard or foam padding. This was Santa, with a genuine smile to cheer the hearts of all. He held me up to his ear so I could whisper my toy requests. He listened to everything I had on my list and checked it twice. I confessed to the naughty, but he already knew about the nice. 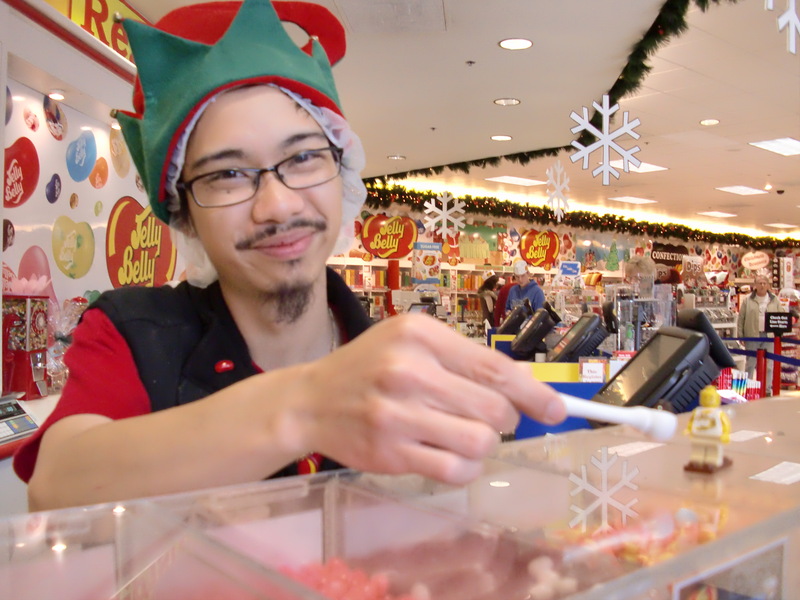 He let me hang out on his hat to ask for one more item (I guess a couple of my jelly beans got stuck on there, too). This year I found my voice. I was lucky enough to be given a home with some nice people and saw some wonderful things. Life has given us its ups and downs but, all in all, our life is good. 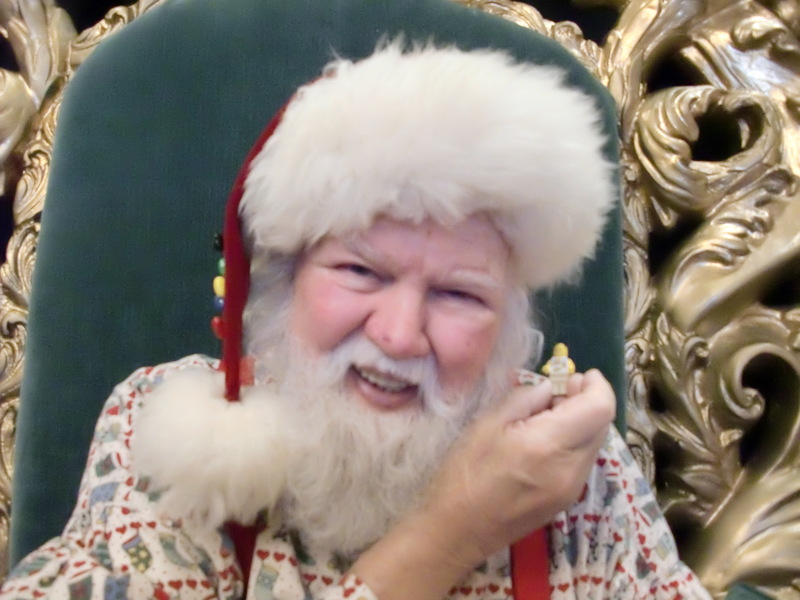 I asked Santa to please smile on those whose lives are not so nice and give them a New Year of happiness. Merry Christmas from Bubba and his Friends. 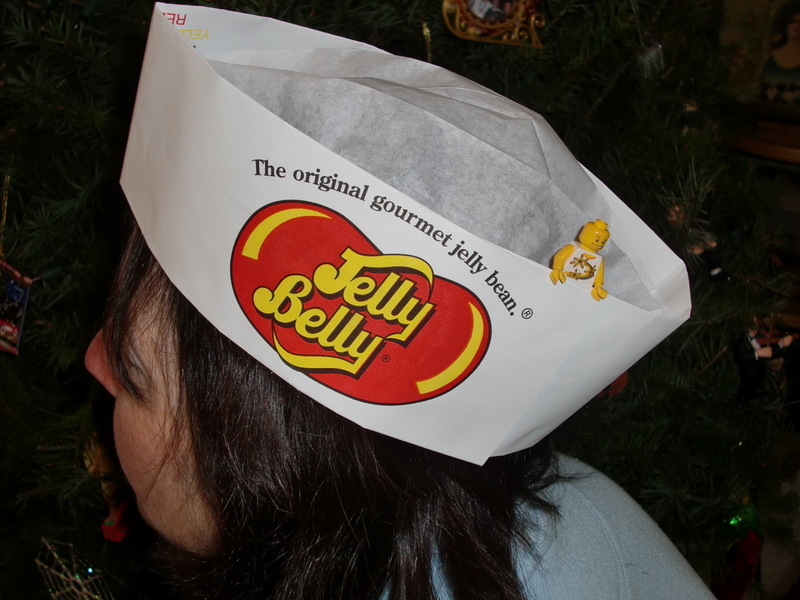 This entry was posted in Holiday, Humor, Legos, Travel and tagged Christmas, Jelly Belly, Santa. Bookmark the permalink.